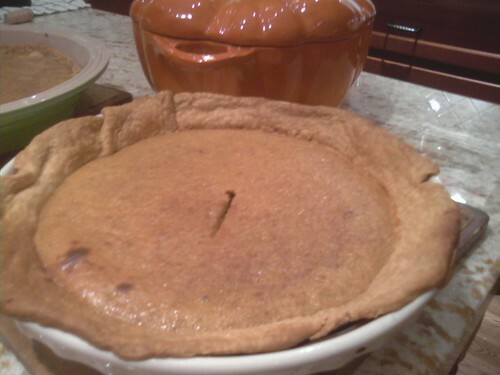 Here is one of my very favorite things to make with fresh cooked pumpkin: pie! We usually leave some lumps in the pumpkin to give the pie more texture and body, but you can puree it, too. Preheat oven to 400 degrees. 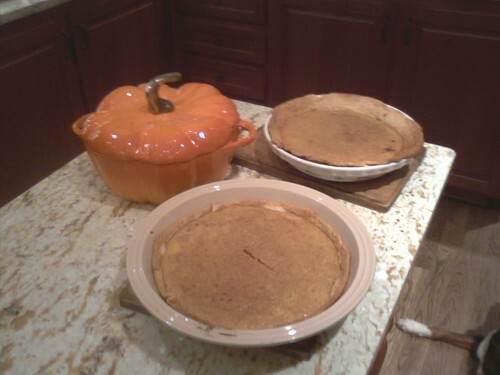 Gently roll each pie crust onto two pie dishes. In a large bowl, mix well pumpkin, evaporated milk, eggs, brown sugar, spices, and salt. Pour half of the mixture into one of the prepared crusts, and pour the other half into the second prepared crust. Cover the exposed edges of the crust with strips of aluminum foil, and bake for 40 minutes or until a knife inserted into the filling comes out clean. Yield 2 pies.